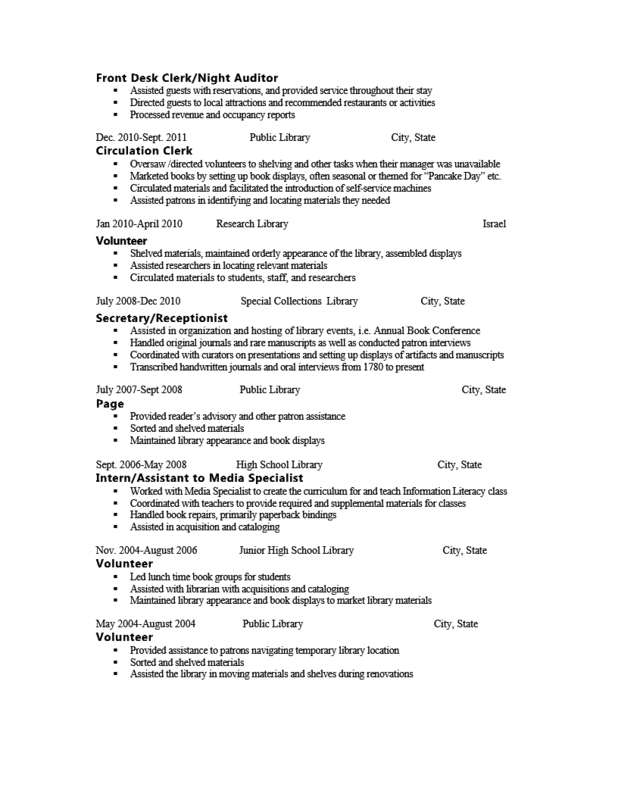 I am currently working as a high school librarian in a small boarding school in California but will be looking to move on at the end of the year. 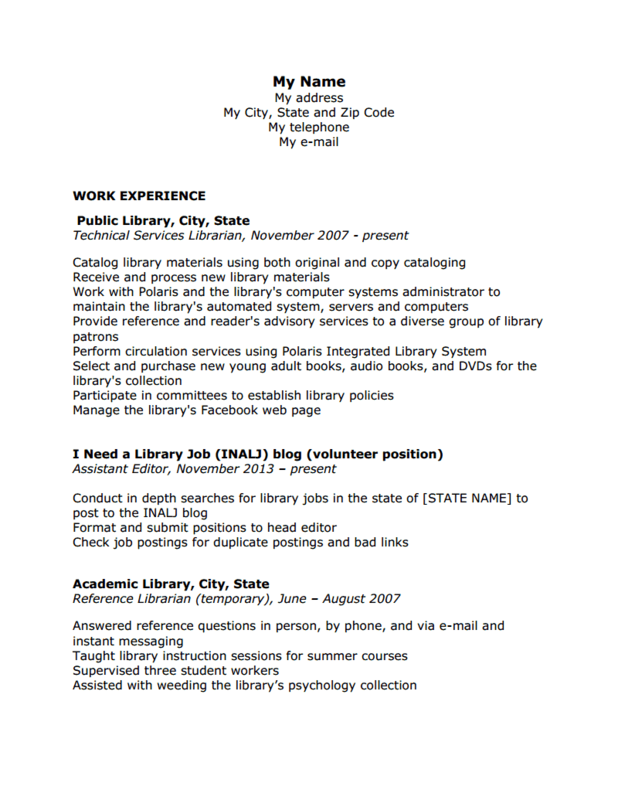 Ideally, I would love to work in a public library but I know that I’ll be applying to lots of high school school library jobs as that is what I have the most experience doing and it is something I enjoy doing. 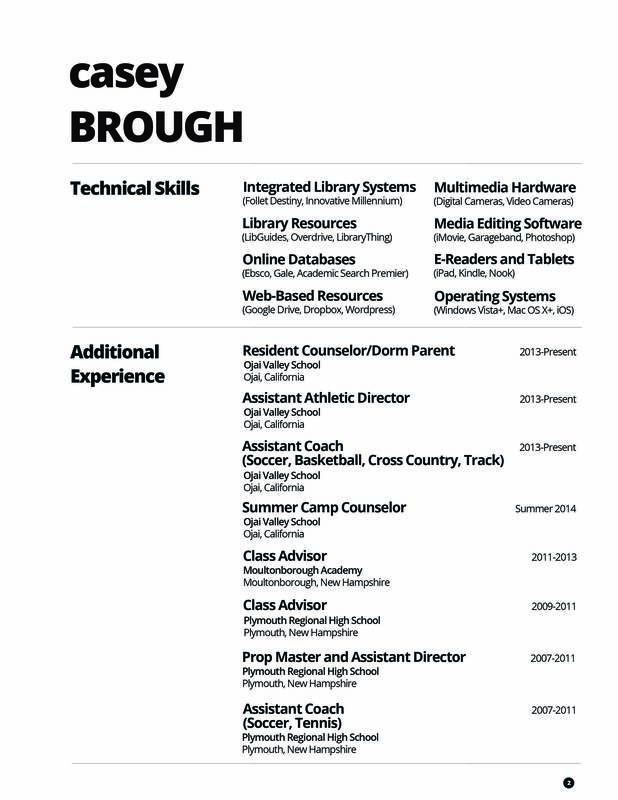 I’m drawn to private schools, but I’ve also worked in public education and like it, so both are options for me. 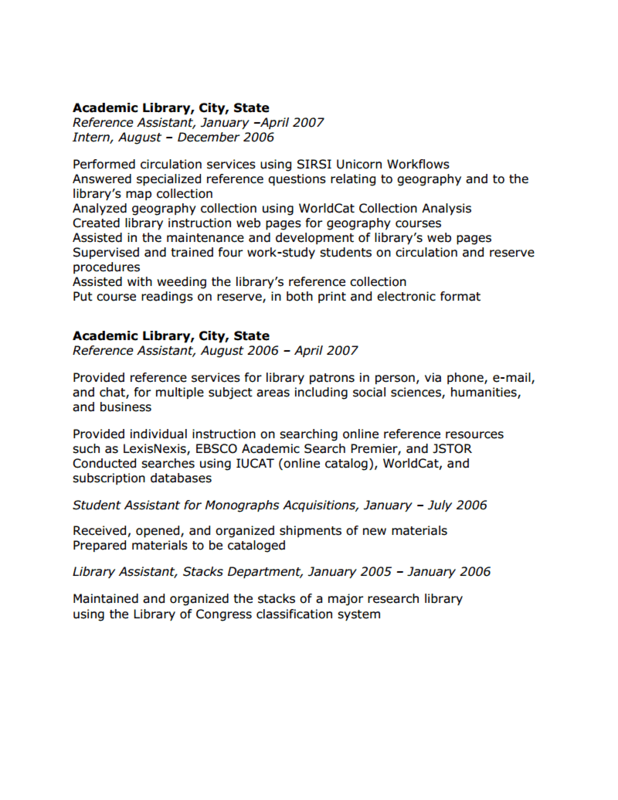 This is a CV intended for an Electronic Resources Librarian position at a smallish (2,000 students) liberal arts college. 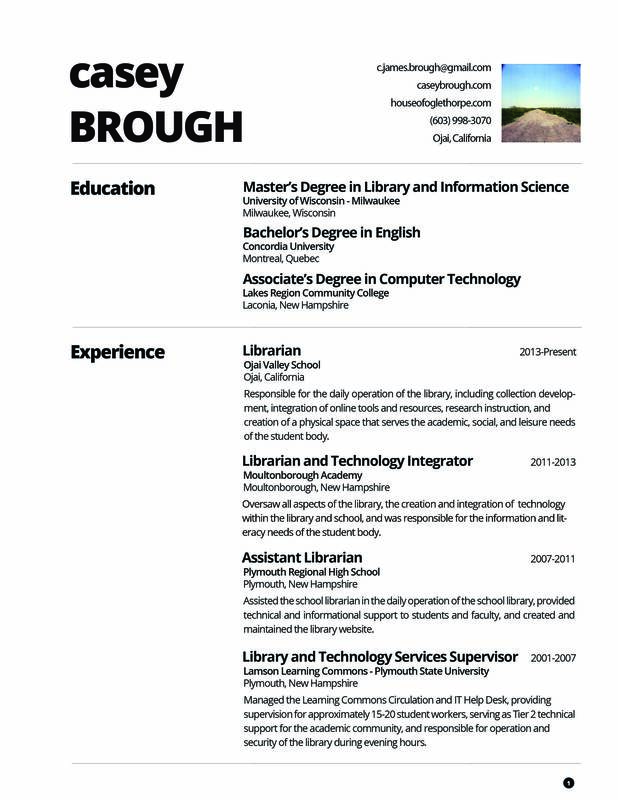 I would like to work either in a public or academic librarian, and would love doing more outreach, as in taking “the library” to hospitals and would like the chance to go over to countries experiencing upheavals, and try to help the librarians there, making sure they and their collections are safe. 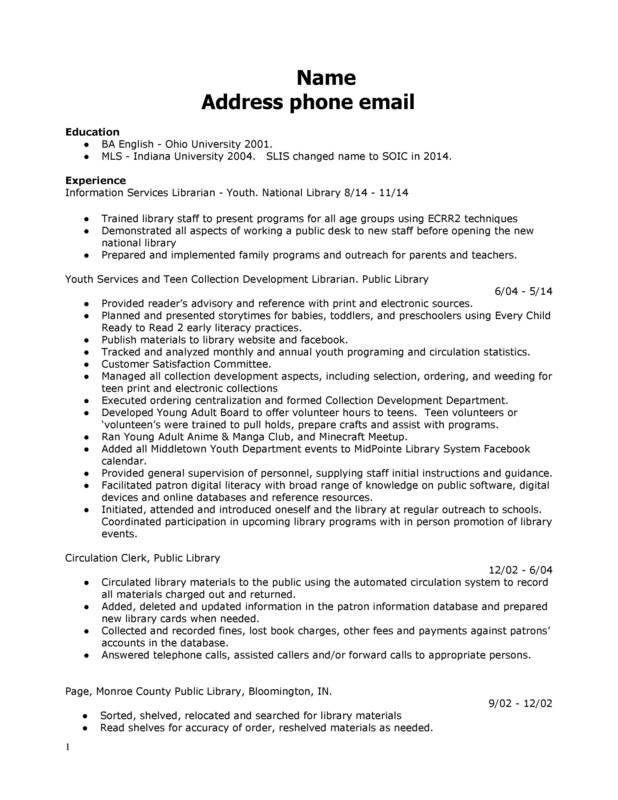 I have 12 years of experience in public libraries, I am looking for a youth services job that works with children and teens. 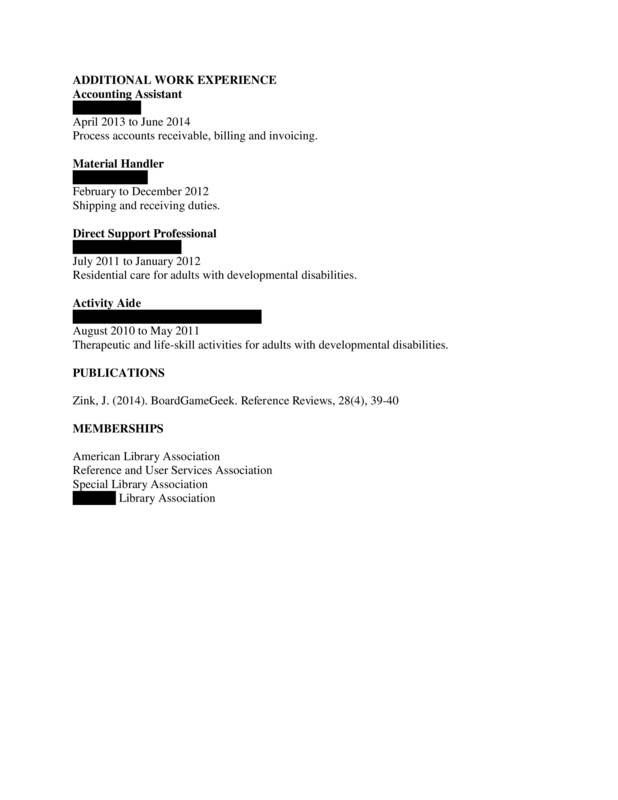 I want to work as a department head or team leader. 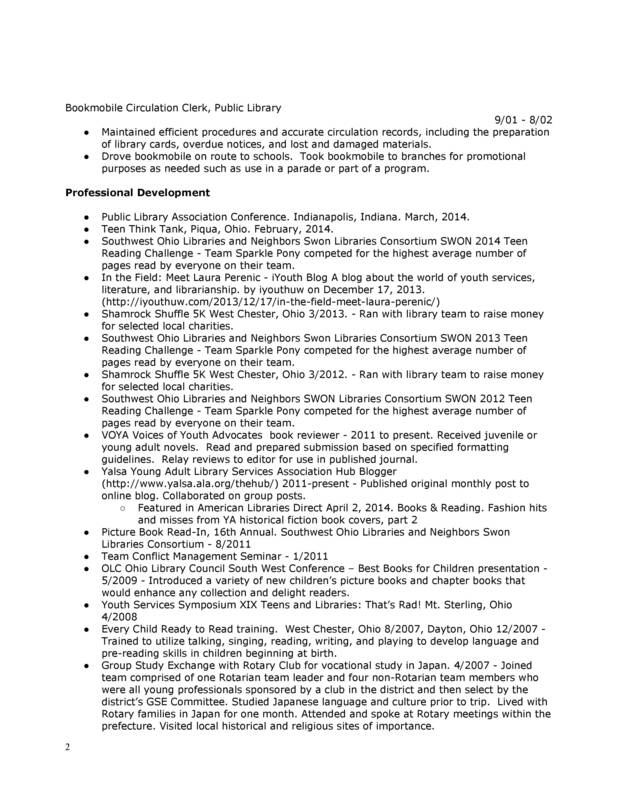 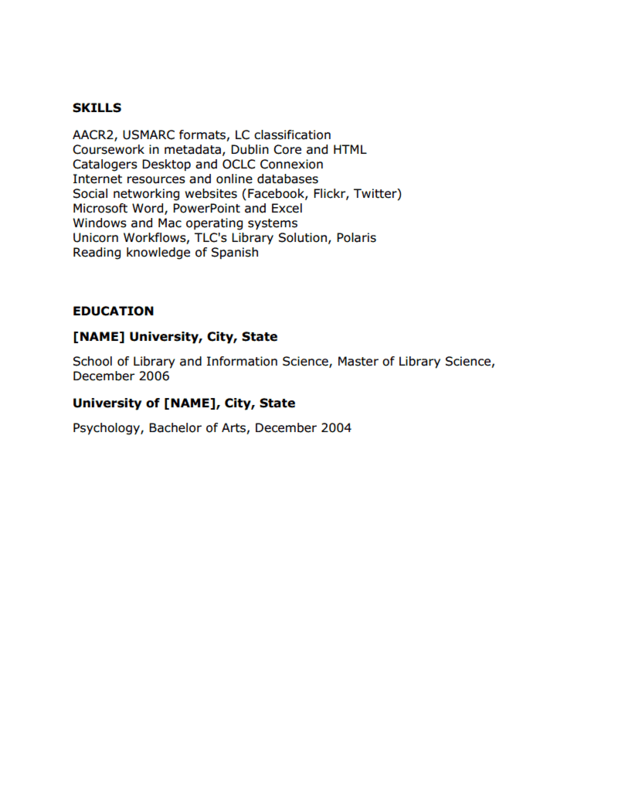 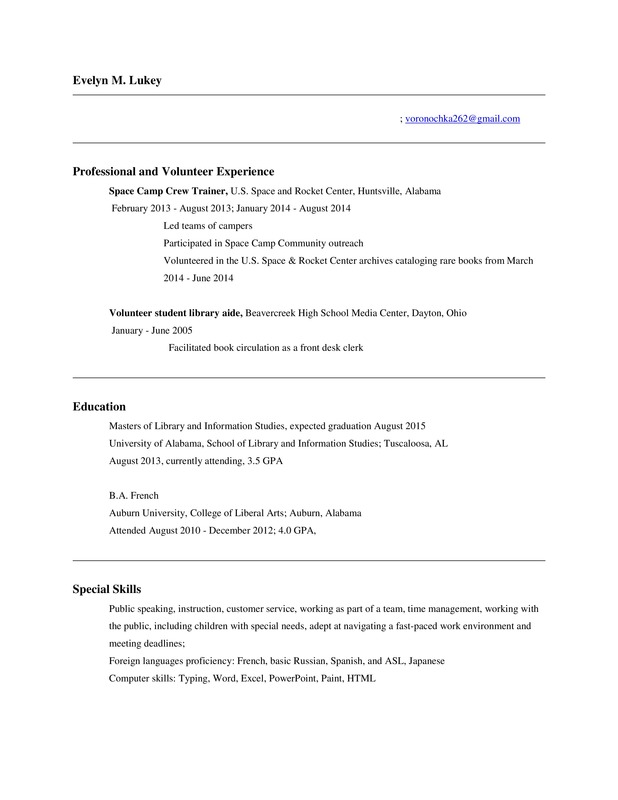 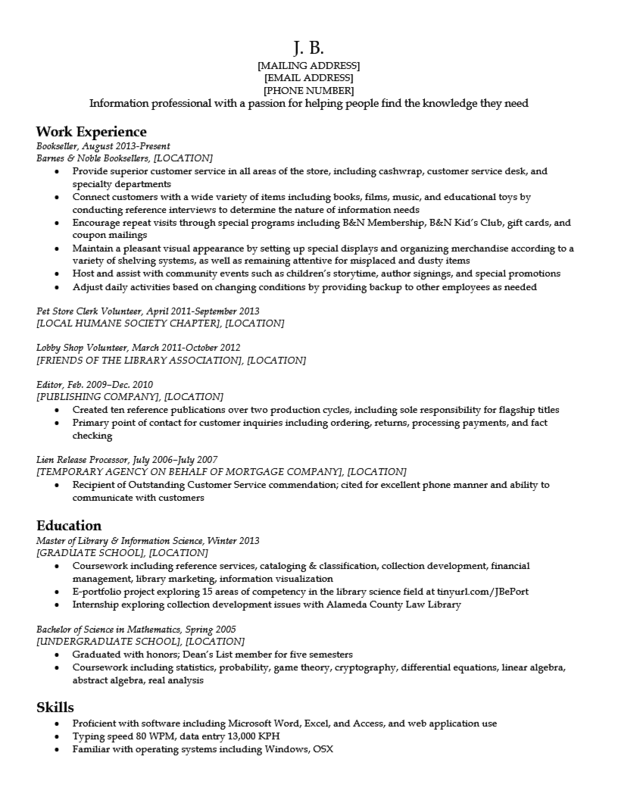 I use this resume primarily for public library positions, specifically reference and young adult librarian positions. 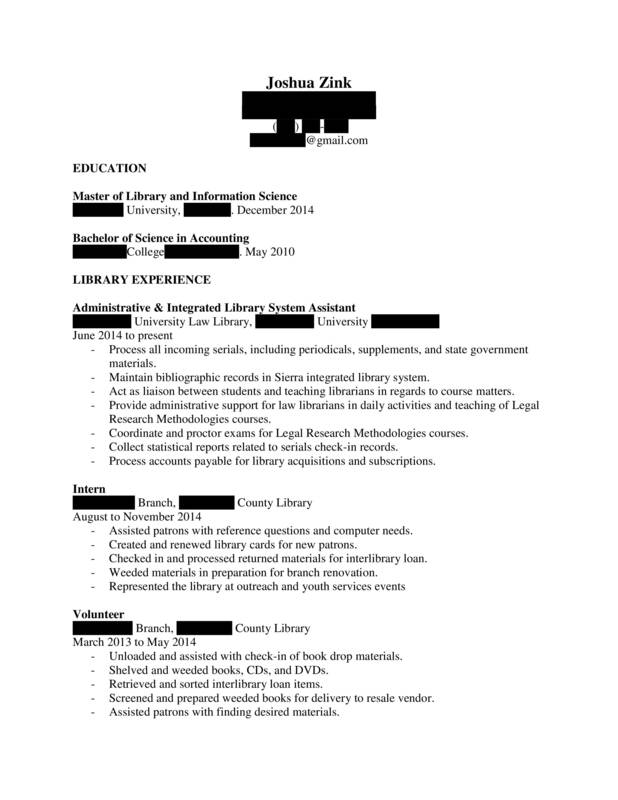 I have been seeking entry-level positions at public libraries – I’m specifically interested in reference services, but am flexible in terms of the positions I would take. 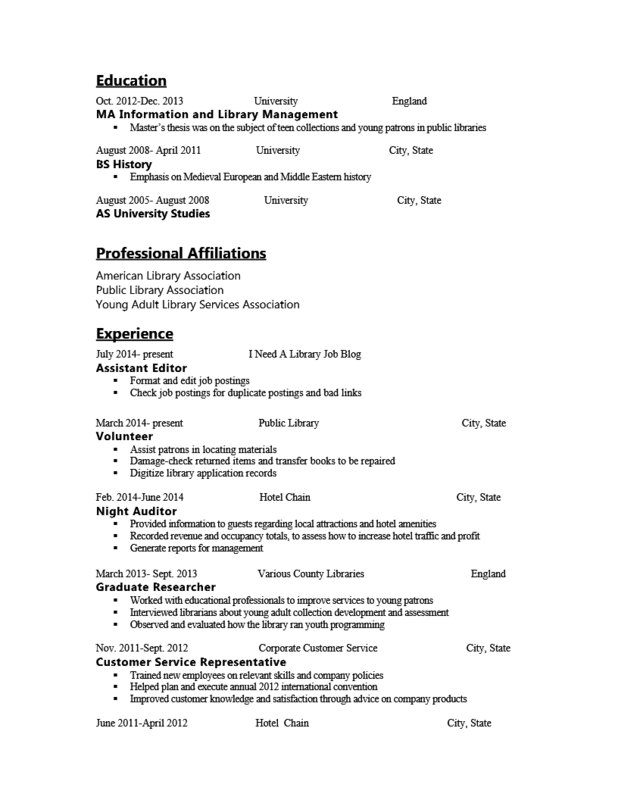 I’ve been using this resume to apply for librarian positions in technical services, in both public and academic libraries.